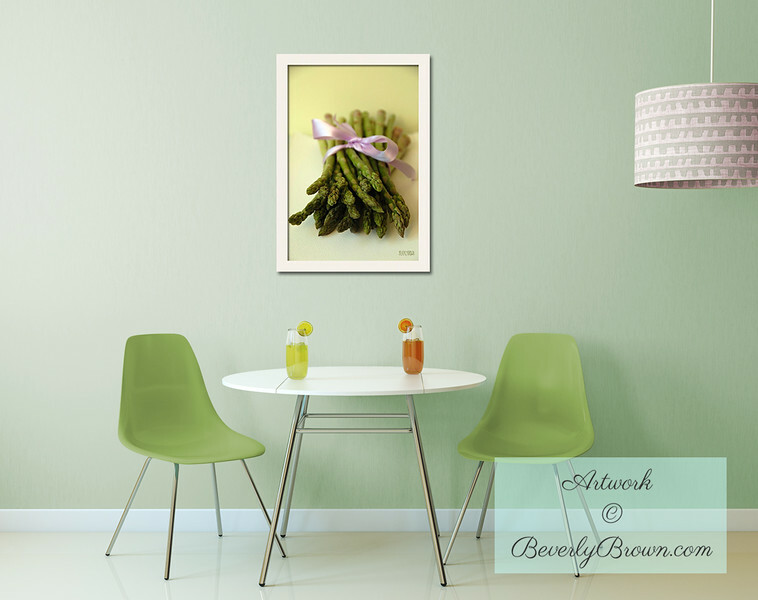 "Asparagus with Purple Ribbon" custom giclee print (16"x24" unmatted with a white frame) from a fine art photograph by Beverly Brown. Prints are made to order in sizes from 5"x8" up to 32"x48" on fine art paper with custom printing; or on stretched canvas, metal or acrylic. This dreamy, soft-focus photographic print creates a focal point in this vintage-inspired kitchen.